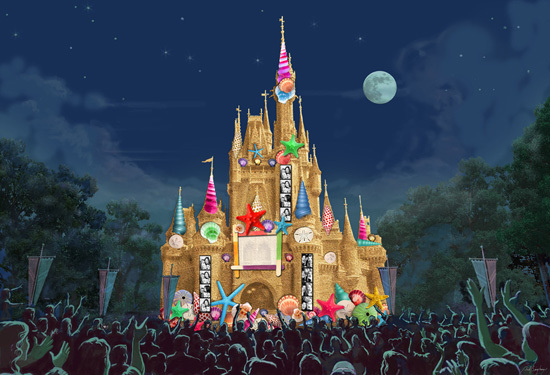 Earlier this year, my fellow Disney Parks Blog author, Shawn Slater hinted that changes were coming to “The Magic, The Memories, and You!” nighttime show at Magic Kingdom Park. Today, we’re happy to announce that the summer version of this show will begin May 25. Here’s a sneak peek at one new scene that will appear in the show, in which Cinderella Castle turns into a giant sandcastle. Tigers, Cheetahs and Lions All See Scents!